Robotic process automation (RPA) has been on the rise as many organizations are adopting it, thanks to its ability to offload mundane, time-consuming tasks to the software bots that are able to perform these tasks faster and in various cases, more accurately than the humans can. This strategy to streamline the operations provides the added advantage of freeing up the employees’ time to handle higher-level tasks and more complex projects- a critically important benefit for the enterprises undertaking digital transformations. However, RPA implementation is challenging. In fact, if not executed properly, a move to RPA can end up in more issues than businesses bargained for. This article talks about the RPA implementation and the effective strategies that make help make it a success. An increasing number of CIOs are turning to the rising technology of Robotic process automation (RPA) for streamlining their operations and cutting costs. With RPA, the businesses automate the mundane rule-base operational processes, enabling the users to give more time to their higher-value tasks. Others view RPA as a stopgap en-route to the intelligent automation (IA) through artificial intelligence and machine learning tools, which can be adjusted for future outputs. Frank Casale, the founder of the Institute of Robotic Process Automation & Artificial Intelligence (IRPA AI), states that one of the most common reasons behind unsuccessful RPA implementation is the existence of protectionism and politics within the organizations. RPA, after all, is a disruptive technology, and most of the executives don’t want their team or department to get disrupted. Other common reasons for RPA implementation failure include poor use case choices, poor planning, and deploying an irrelevant RPA technology to meet the enterprises’ needs. Another important reason, which is sort of invisible too, is the lack of knowledge about the pitfalls or challenges of RPA technology. RPA is not for every organization. It’s a high-level, scalable implementation that needs lots of funds, patience, flexibility and ability to handle internal challenges, on a consistent basis. Installing thousands of RPA bots takes enough time, is costlier and more complex that many enterprises could think. Compliance to changing regulations and industry best practices may also put a project on stake. The study conducted by Deloitte UK recently, showed the same conclusion. It revealed that just 3 percent of the enterprises were able to manage to scale RPA to the level of 50 plus robots in 2017. To ensure a smooth transition to RPA, enterprises must need effective strategies and tips. Here you go. Quick wins can be achieved with RPA but propelling it to run at scale is quite a different story. Dave Kuder from Deloitte Consulting LLP states that a lot of RPA challenges arise from poor expectation management. 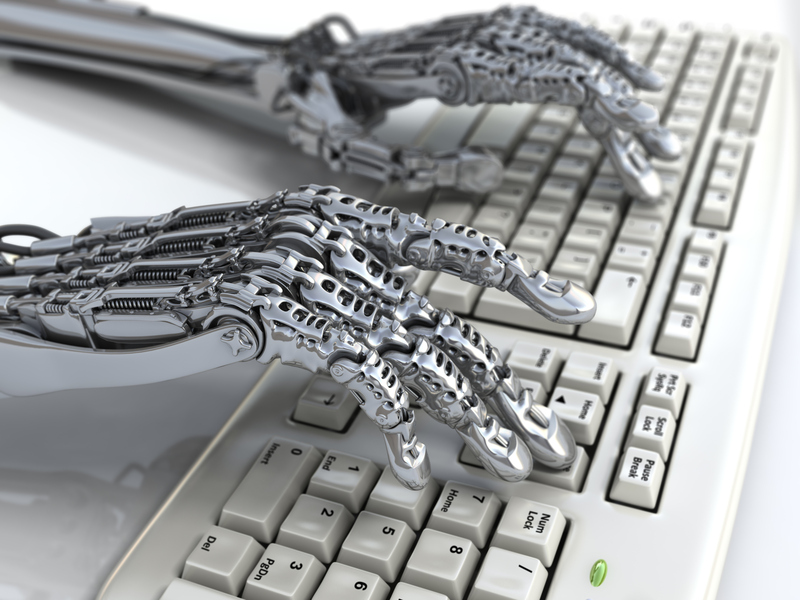 Bold claims regarding RPA from the vendors as well as implementation consultants don’t help. Therefore, it is critically important for the CIO to go ahead with a cautiously optimistic mindset. RPA is propped up like a mechanism to foster ROIs or decrease costs. However, more CIOs must use it to enhance customer experience. For instance, businesses like airlines hire thousands of customer service representatives or agents, but customers still wait in long queues to wait for their turn. A chatbot can help alleviate this wait. Put that virtual agent there in and there is no out sick, no down time and no poor attitude. The client experience is going to improve anyhow. COOs in initially purchase RPA and hit the wall during its implementation, prompting them to look for IT’s help. Now “citizen developers” having no technical expertise, are using the cloud software for RPA implementation right in their business divisions and units. CIOs often tend to step in and block them. Business heads should involve IT from the start to make sure that they are getting the accurate and enough resources as required. Many RPA implementations fail due to poorly managed design. In the hurry to get RPA deployed, some enterprises overlook the communication exchange among various bots, which breaks a business process. Before implementation, think about your business operational model design. You must map out how do you expect these bots to work collaboratively. Alternatively, many CIOs ignore the need to negotiate the changes these new operations would have on an enterprise’s business processes. CIOs need to plan this well in advance to prevent any business disruption. A bank installing thousands of bits to automate its manual data entry or to track software operations, produces tons of data. This may lure CIOs and their business peers into an uncertain scenario where they look to leverage this data. It is not uncommon for the enterprises to run machine learning on the data generated by their bots, then throw a chatbot on the front to let users more easily query their data. Suddenly, the RPA project becomes an ML project that has not been accurately scoped as an ML project. The puck keeps moving and CIOs have to struggle too much to catch up to it. It is recommended that CIOs take RPA as a long-term arc, instead of a piecemeal project evolving into something clumsy. RPA is enduring to advance and it’s crucial to keep up with these changes. Since RPA adoption is increasing and increased volume of human labor is being digitized into organizational capital, the RPA technologies will offer more advanced cognitive capabilities, integrated further with the cognitive capabilities. The technology will likely grow to entail self-building robots, verbal interactions and controls, and course corrections, which are based on innovative learning capabilities, to manage a greater number of exceptions and more distinctions in processing. The successful implementation of RPA will be purely based on these factors in coming days.